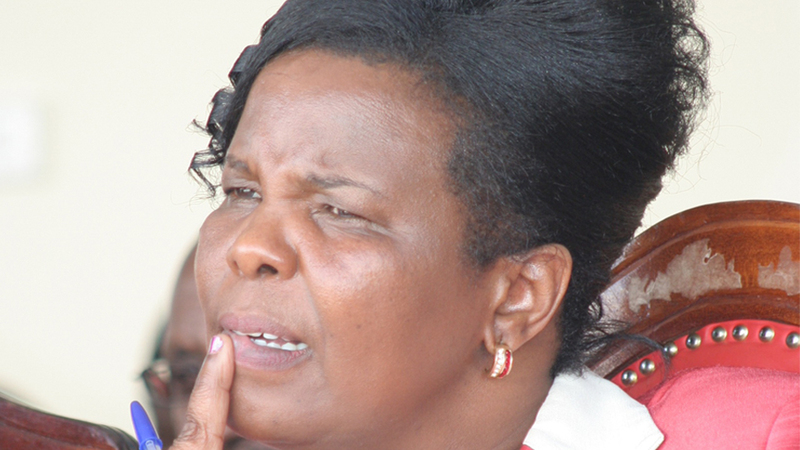 Prof. Olive Mugenda retired last week as Kenyatta University’s Vice Chancellor. She has been at the helm of the Thika Road based institution for two terms of 5 years each. Her last term has faced a lot of political opposition from within and without University borders. Okiya Omtatah had even gone to court to send her home. Most of this opposition has been reportedly due to how she handled the previously frequent student riots at the campus. Before she was appointed VC and during her first few years, KU was in the news every other week for upheavals. Many students were permanently expelled from the University, and others thrown in jail. There however was talk that a particular tribe was targeted, and the rumours continued every time there was a students’ election. Apart from the sideshows, Mugenda took over KU when it was nothing but a village university. Most of its over 1000 acres was sitting idle, while the rest was taken up by old and dilapidated buildings. In a matter of a decade, KU is now comfortably the ‘most developed’ university in Kenya, with assets its biggest rival University of Nairobi can only dream of. It boasts of the largest University library probably between Limpopo and Sahara. Next month, it will be unveiling the largest referral hospital in Kenya after Kenyatta National Hospital. KU Children’s Hospital. The Unicity shopping mall and petrol station opened earlier this month, staff housing commissioned last week, KU funeral home which has been serving Kenyans for several years now and Shuttle buses bought last year to ferry students for free from point A to B within the expansive main campus. Among the schools which have received new buildings are: Engineering, Economics, Tourism, Education and Business. There are multiple computer centres with the main one equipped with more than 800 computers. Two new multi storey science laboratories. There are several student improvement centres, an amphitheatre, new hostels, an innovation centre, an alumni centre, international languages centre, administration centre, monument, new gate and dual carriageway, etc. That’s just in the main campus. Each of its 11 other campuses has a development story of its own. Beautiful and modern building at Parklands Law Campus. Building that houses City Centre campus along Haile Sellasie avenue bought in 2009 – during Mugenda’s first term. A campus in Dadaab and Arusha. Without forgetting the Northcoast Beach Hotel, acquired by the university when it was performing poorly and transformed into a profitable tourist hotel. Mugenda will go down as probably the best Vice Chancellor of any Kenyan University, and it’s no surprise that the University council agrees. They are giving her a generous send off package that has not been received well by everyone. Gitobu Imanyara called it ‘unlawful’ on Twitter, saying that KU is not a private institution. What exactly is she getting? 1. 10 day holiday to a country of her choice, with spouse or friend valued at sh 2.5 million. 2. A vehicle of her choice valued at Sh10 million. 3. A retirement home in a suitable residential area valued at Sh20 million. 4. Personal insurance medical cover equivalent to what she’s been having up until her retirement. Any other package for future Vice Chancellors will be considered on a case to case basis depending on performance. The package amounts to Sh32.5 million without including the insurance. Is this amount too huge for a public official? Well, my view is that since we continue to reward mediocrity with huge government jobs and other benefits, Mugenda deserves more than what they are offering. It’s good to reward hard work and achievement for a change. Maybe if a different VC was in place, KU would still be a village University with a lot of idle land and unfulfilled promise. UPDATE: Omtatah has gone to court again saying Mugenda should not be paid a dime.